However more often than not I find them coming back saying that even though they followed the entire documentation, they really could not make it work. So finally I sat down went through the entire documentation, unraveled all the confusions and putting down this blog in the interest of my blog readers and community. I will keep it very simple with the minimal stuffs to make it work. 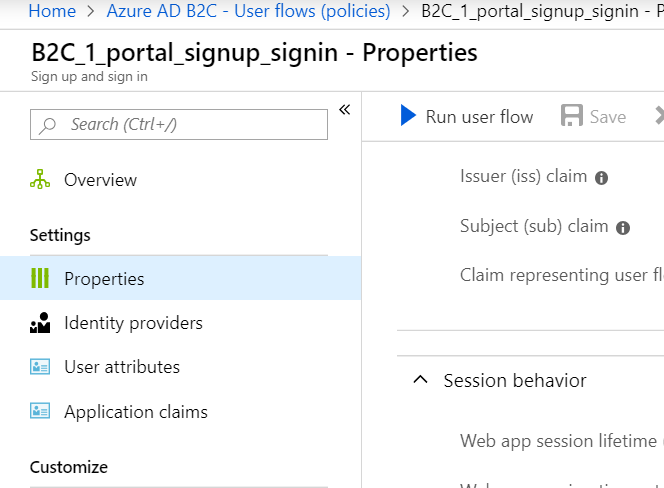 The first step is create a Azure AD B2C tenant. 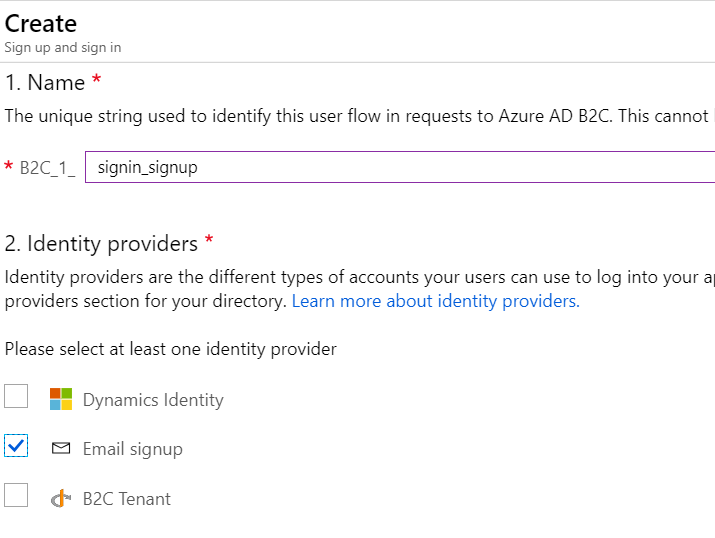 Please note you would need a valid Azure subscription to create a B2C tenant. I won’t explain the process here. It’s detailed in here. Name can be anything you want. I have put it as “Xrmforyou CRM Portals”. Once you save the application, you get a GUID In the application Id field. Copy and store it somewhere. We would need it soon. Also copy the Reply URL. We are going to need it as well. Azure AD B2C is essentially an identity provider. Here you can define a User Policy which basically provides the identity provider, the claims and user attributes. It’s basically a way to define the identity provider which would validate the login, the attributes the user need to provide during the login process and the claims that will be passed to the application once the user successfully logs in. Select “Sign up and Sign In” from the below menu. Enter a name and then in the Identity provider select “Email signup”. This basically allows the user to sign in/ sign up with their email addresses. As we scroll below, comes one of the most important part of this process and that is selecting the User attributes and claims. 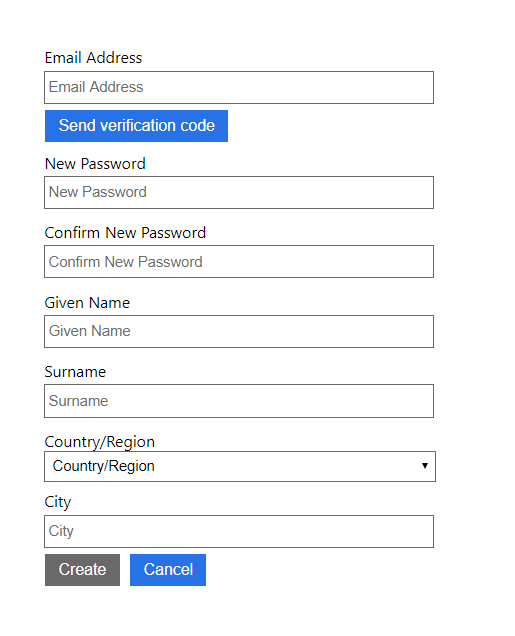 So we will set up this policy in such a way so that when a user sign up using this policy in the portal, First Name, Last Name and Email address are automatically mapped to the newly created contact in CRM. If you observe carefully, apart from First Name, Last Name, Email in the user attributes we have selected City, Country/ Region as well. We won’t be mapping them to the contact as of now but just to show that you can throw those up in the sign up page. We will see it in a short while. Go ahead and save the flow before we proceed with other stuffs. Navigate to the section “Token compatibilty Settings” and in the Issue claim, select the URL with tfp. Save the user policy. Copy it and store it somewhere. We would need it later. So here we are in Step 3. And we really have done a lot through before reaching here. What we will do here? If you remember, in the course of our journey we have collected three jewels along the way. 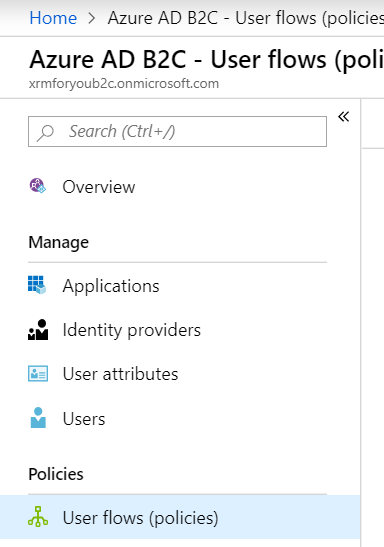 One was the application id when we registered the portal in Azure AD B2C. Next is the reply url of the application. And the last one is the issuer id of the User policy from the previous step. We are going to need all those now. The next set of site setting records need a bit of explanation. In our previous step when we created the User flow (policy), I explained you the user attributes and claims. Once the user signs up for the first time, the information captured in the user attributes are passed to portal as claims. But once the portal receives those claims, it should know which fields it should map to. The below site setting takes care of this. As you can see, I have mapped the claims email, givenname and surname to emailaddress1, firstname and lastname fields of the contact respectively. To know more about claims and format please visit the below link. But for this tutorial, I hope this is pretty clear. If you want to map values even during sign-in, you just need to add another site setting record here. Now as the user signs up to the portal using their email, it creates a contact record in Dynamics. Next time if there is another user sign-in with the same email, we should not be creating a new contact. We should associate the new sign-in to the existing contact. The below site setting will take care of this. Finally one are at the last site setting. And this is not mandatory one. 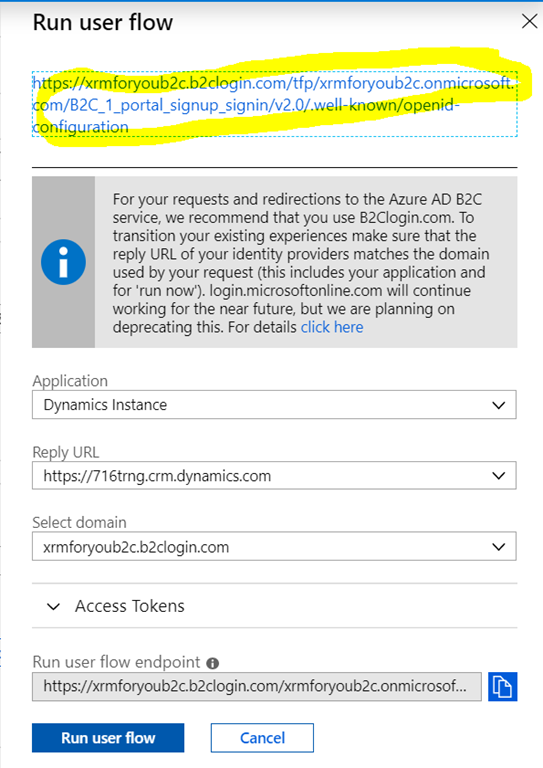 But if your goal is that authentication through this Azure AD B2C should be the only way the user authenticates with the portal and no other method of sign-in is allowed, then the below site setting does exactly that. All set-up and done. Now with the final test. I browse my portal and click on Sign In. This is the login page I get. As you can see, with the last site setting, we have disabled all other methods of registration. In the above screen, we have two options. One to sign in and the other to sign up. Let’s first click on sign up. We get the below screen. So what are these fields. If you remember correctly, these are the same fields we selected as attributes in the User policy. Once I complete my login process, I get the values mapped from claims for email, firstname and last name. Hope this finally gets it working for you. Previous Post How to change Dynamics 365 CRM web interface from UCI to Classic version?